Complete all required information for a more customized referral. Up to 15 referrals will be given based on the child care information entered. Referrals are generated randomly by the database. Please be advised that these are referrals, NOT RECOMMENDATIONS! 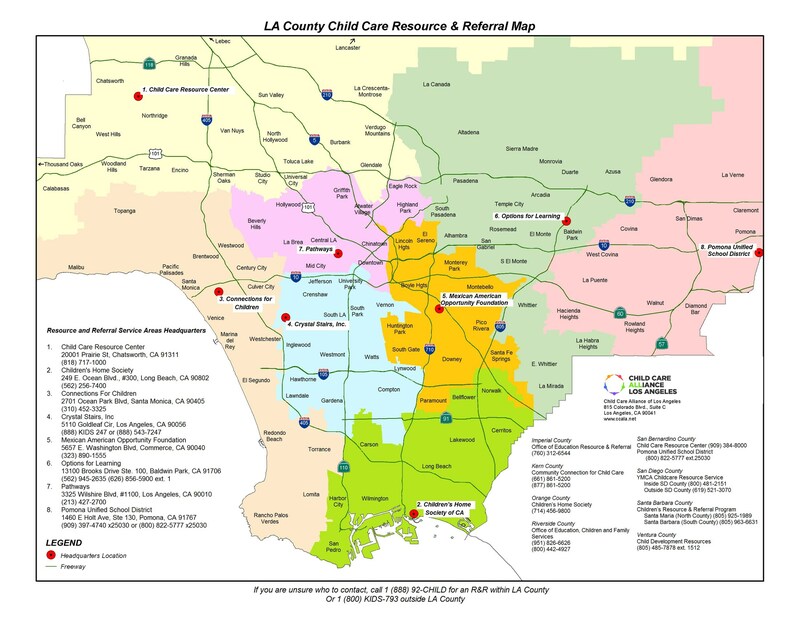 We will provide you with child care referrals in our service area: Alhambra, Altadena, Arcadia, Azusa, Baldwin Park, Duarte, El Monte, La Canada, La Habra Heights, La Mirada, Monrovia, Pasadena, Rosemead, San Gabriel, San Marino, Sierra Madre, South El Monte, South Pasadena, Temple City and Whittier. Interview, visit and observe potential child care providers before making a decision. It is your right and responsibility to seek as much information as possible to choose a provider that best meets the needs of your child and family. Once you have chosen a child care provider, stay engaged with the program and maintain regular communication with your child’s care provider. All information is kept strictly CONFIDENTIAL and will not be sold, traded or made available to outside sources. Collected data helps assist state and local agencies address child care needs. For additional help or to speak directly with a friendly Referral Specialist, call (626) 856-5900 or (562) 945-2635, ext. 1 Monday - Friday 8:00 am to 5:00 pm. Child care referral services are provided to all persons requesting them regardless of income or other eligibility factors. The names of providers are referrals only and not recommendations. The referrals are based on information provided by the child care providers themselves. Options for Learning does not inspect the providers and cannot guarantee the accuracy of the information or the quality of the supervision your child will receive. The choice of your child's care provider is your responsibility. Options for Learning is not responsible for arrangements between parent or guardian and child care provider. By using this service you agree to waive any claim against Options for Learning for use of this service and to indemnify and hold harmless Options for Learning, its officers, and employees from costs, suit, or liability allegedly arising out of the provision of child care services or the use of this referral service. This information is available for personal and non-commercial use only. Options for Learning does not permit any replication of the information for commercial or statistical use. Unauthorized attempts to do so may be punishable under the Computer Fraud and Abuse Act of 1986. The provisions of this Act apply to each search performed. Note: Not all providers wish to be included in our online referral database; therefore, the search does not represent all available providers. By clicking on the checkbox below, you agree that you have read, understood, and accepted the conditions for this and all future searches for child care services.